The classes take place during the morning, starting at 10.30 am and run from 2 to 3 hours. All classes in this document are hands on. Classes are designed for adults over 18. We also offer intensive courses (3 days or 1 week). Ask for more information. SALSAS: What the students learn here is fundamental to their education as an authentic Mexican cook. 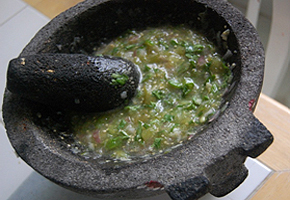 As in many other countries, Mexican cuisine is based on sauces (salsas). There is a large variety of them and may change their name depending on the different ingredients or in what you´ll use it for. 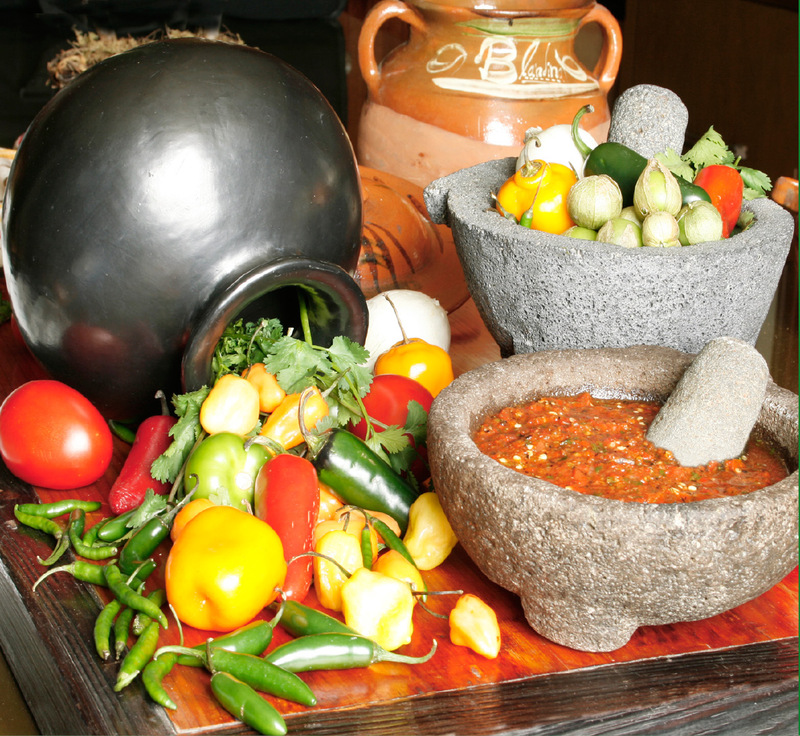 Salsas in Mexico are the basis of traditional meals; they are not dips or “pico de gallo” salsa type. These salsas are used to top poultry, fish and meat, including vegetables; that´s why I strongly recommend you to take this class prior to other courses. This is a fundamental class in which you will learn the basic techniques to work with fresh and dry chiles. We are going to prepare basic salsas and we will include more than fifteen suggestions to use them in your kitchen on a daily basis. 2 ½ to 3 hours class/one morning. 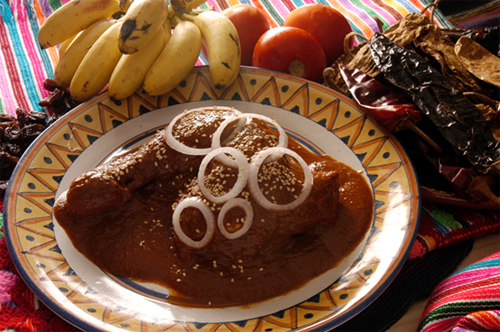 MOLE: The Word Mole is used to describe the most exquisite and complex sauce of the Mexican gastronomy. Most mole recipes include between 25 and 30 ingredients, which are added gradually and in a certain order while cooking. Many of them previously processed with different techniques. The needed ingredients vary according to the region in which they were originally prepared and may include dried chiles, nuts, fresh and dried fruits, seeds, spices and vegetables, and very few recipes include chocolate, in contrast to the mistaken belief that mole is a chocolate sauce. Our recipe includes around 28 ingredients, but some recipes may need up to 60! Important note: Lard and chicken broth are required to prepare Mole, there is no substitution. So, if you cannot eat lard or chicken broth, this class will not be suitable for you. While tamales are being steam cooked, you will learn how to make the salsas to fill them. Important note: Important note: Lard is required to prepare tamales, there is no substitution. So, if you cannot eat lard, this class will not be suitable for you. 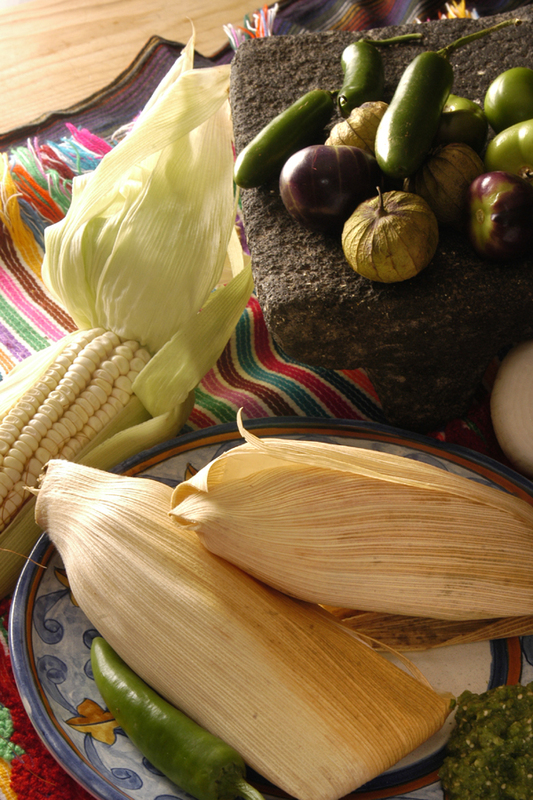 Long before the Spaniards arrived to Mexico, Mexicans used corn, this is a tradition that continues to be as strong as ever, and forms part of many dishes. 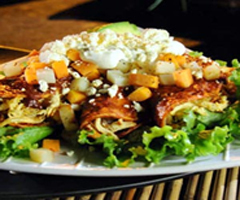 You will learn to prepare the most popular “antojitos de comal”, made with cooked or fried tortilla and may be thicker or have different shapes from the traditional round tortilla. These different corn dough tortilla shapes are topped with a wide variety of preparations, and also changes the way they are named, depending on the region they are from. This is a Very popular class; it’s fun and there are astonishing variations in it; you learn to make tortillas, enchiladas, chilaquiles and sopes; plus salsa verde, salsa roja and salsa for enchiladas to use with the courses. 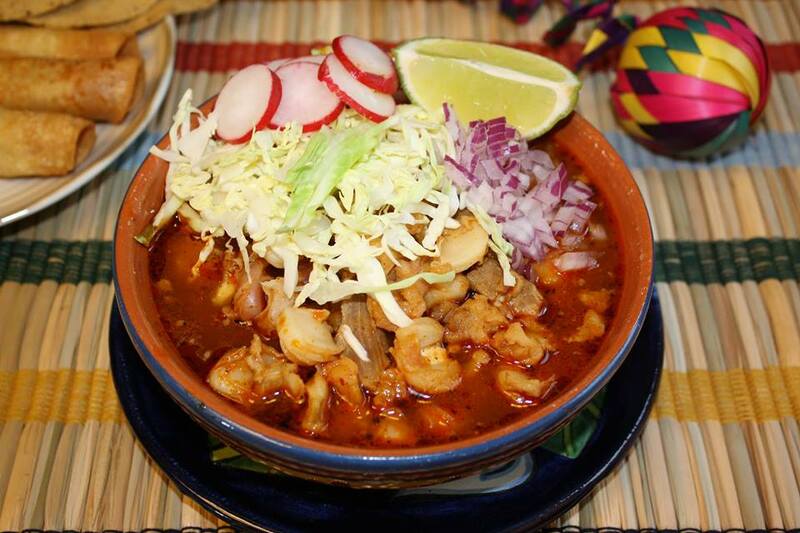 This is a very traditional food that has its origin in pre-Columbian culture. 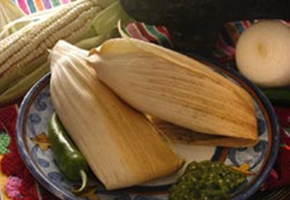 Mexicans enjoy this specialty usually in the frame of religious and official festivities, such as ”September Fiestas Patrias” or “Christmas Posadas”. It is prepared with hominy, cooked well done. 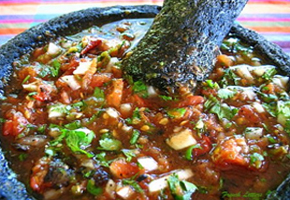 It is then added with a very thick salsa made with dry chiles, onion, garlic, tomatoes and oregano. 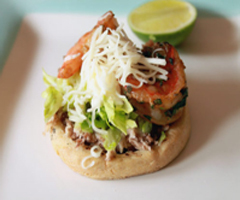 Once the soup is completely cooked, it is served over shredded pork meat, and topped with fine sliced lettuce, fine dice white onion, thin sliced radish, dry oregano, lime and “tostadas” as a side dish.